Guests at King Jack Park stop to enjoy the view of Paradise Lake from the Georgia City Bridge. The bridge was once the oldest extant all-metal vehicular bridge in the state of Missouri. 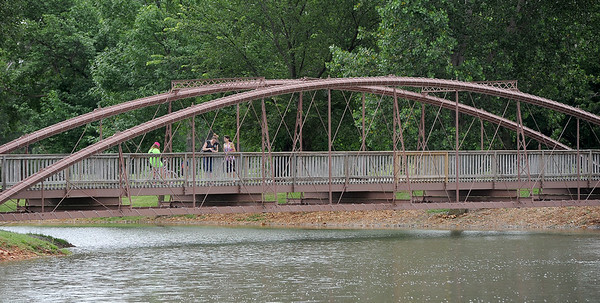 Built in 1871, it now serves as a walking bridge over Paradise Lake.